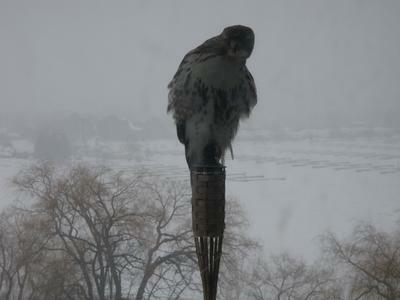 It looks like a Red Tailed Hawk landed on my 8th floor balcony and perched on a Tiki Torch mid day during a snow storm. 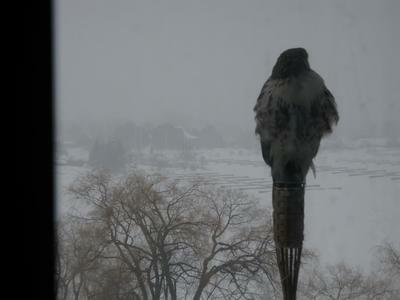 He stayed for about 30 minutes with his back to the snowfall. I am located in Mimico, in South Etobicoke right on the lake at Humber Bay Park West, adjacent to the Martin Goodman bike path.